This lesson pack contains everything you will need to teach, track, and display the Common Core State Standards for Kindergarten! With 150 pages, it includes the following: ~A customizable pdf template that can be used to create your lesson plans. 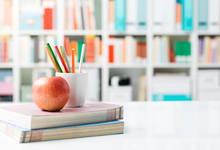 This lesson pack contains everything you will need to teach, track, and display the Common Core State Standards for Grade One! With 160 pages, it includes the following: ~A customizable pdf template that can be used to create your lesson plans. This lesson pack contains everything you will need to teach, track, and display the Common Core State Standards for Grade Two! With 157 pages, it includes the following: ~A customizable pdf template that can be used to create your lesson plans. This lesson pack contains everything you will need to teach, track, and display the Common Core State Standards for Grade Three! With 192 pages, it includes the following: ~A customizable pdf template that can be used to create your lesson plans. This lesson pack contains everything you will need to teach, track, and display the Common Core State Standards for Grade Four! With 188 pages, it includes the following: ~A customizable pdf template that can be used to create your lesson plans. This lesson pack contains everything you will need to teach, track, and display the Common Core State Standards for Grade Five! With 186 pages, it includes the following: ~A customizable pdf template that can be used to create your lesson plans. Ask Charity Preston a question. They will receive an automated email and will return to answer you as soon as possible. Please Login to ask your question. Charity Preston, M.A. is a national presenter, consultant, and author. She has completed studies in gifted training, cooperative learning, and differentiation, as well as a master's degree in curriculum and instruction. She has worked as a gifted intervention specialist, taught at the elementary level, and been involved at the school, district, and state level in various leadership roles and committees. Areas of expertise include curriculum development, differentiation, technology integration into content areas, and data-driven instruction. 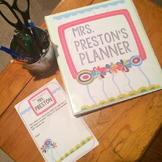 Ms. Preston also writes and teaches online courses for elementary students and/or their classroom teachers. 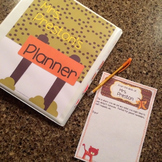 Feel free to see more ideas at Organized Classroom , like Organized Classroom's Facebook Fan Page, follow Charity Preston on Twitter, Pinterest, and Instagram, or follow my TpT Store! See you there! Cooperative learning, multiple intelligences, brain-based learning, and kinesthetic activities. Involved in department, school, and district. Train teachers, as well as students. Present workshops at the state and national level. Charity Preston, M.A. is a teacher, mom, and wife. Featured in Scholastic Instructor Magazine, NEA, TeachHub, and Edutopia, Charity has over a half million fans and followers all over the world. A former K-6 gifted intervention specialist, she has built and managed over 20 educational related websites since 2011, and collaborated with high profile companies, such as eBay, ASCD, and Pinterest. Charity is the CEO of PEN Group Online, Inc. where she has taught her classroom and teacherpreneur business development systems to thousands of fans and members. Feel free to see more ideas at Organized Classroom , like Organized Classroom's Facebook Fan Page, follow Charity Preston on Twitter, Pinterest, and Instagram, or follow my TpT Store! See you there!